It's ten pin bowling, woodland style! It’s ten pin bowling, woodland style! Fancy a strike or two woodland style? 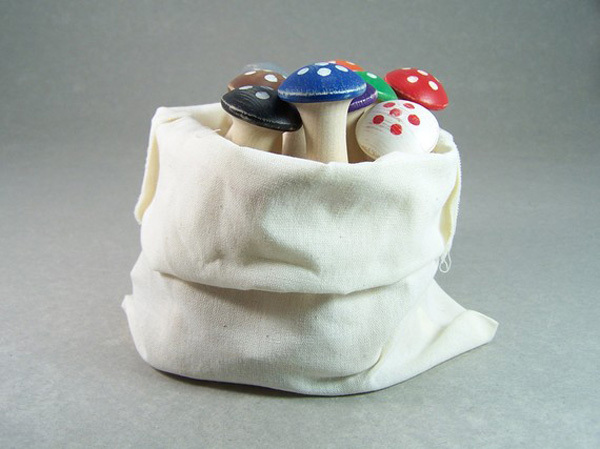 You sure can with these enchanting mushroom bowling sets from MuddyFeet! As beautiful as they are fun, MuddyFeet have created gorgeous Mushroom Bowling sets in the shape of quirky mushrooms. 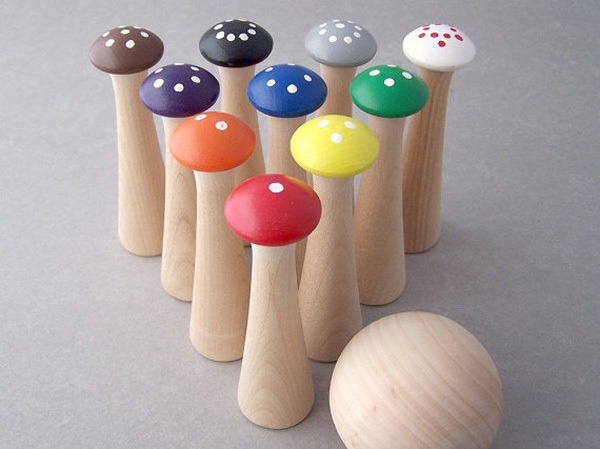 Each mushroom pin stands at just over eleven centimetres tall and is finished with a painted basic colour top. This petite size means the game is ideal for little hands and easily contained to one area, which I’m sure will be welcomed by parents as opposed to turning the whole hallway into a bowling alley! Cleverly, each pin also has dots painted on it from one to ten, so these mushrooms also aide in learning numbers, addition, subtraction and all things in between. MuddyFeet welcome custom orders, if you’d prefer a different colour or random dots, they’re more than willing to assist. Mushroom Bowling sets are priced US$40 from MuddyFeet, with delivery to Australia available.